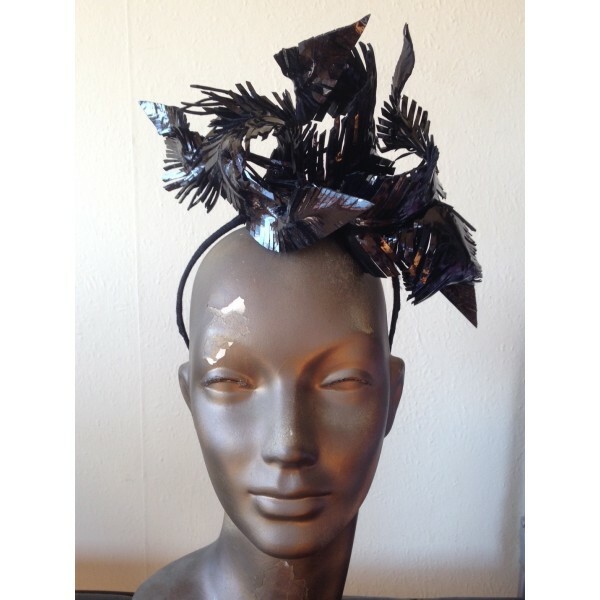 This headpiece is made of hand cut leather feathers in black patent/black leather. Feathers can be styled and reshaped to suit. Secures with a headband with comb. Sent to you Express Post in a pretty gold hat box.